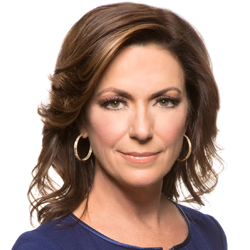 Kyra Phillips is a correspondent for ABC News, based in Washington D.C. Prior to joining ABC News she was an award-winning anchor for “Live From,” “CNN Newsroom,” “American Morning,” and moved to HLN in 2012 to anchor “Raising America with Kyra Phillips”, a daily interactive program that focused on news impacting the modern American family. Most recently she was a correspondent for the CNN investigative and documentary units. Her work has taken her all over the world, covering breaking news across the Middle East. During her four assignments in Iraq she embedded with troops aboard the USS Abraham Lincoln, documented substance abuse in the Iraqi military, reported from inside Saddam Hussein’s cell, and traveled to Baghdad’s School for the Blind. Phillips became the first female journalist to fly in an F-14 air-to-air combat training mission over the Persian Gulf and her war coverage secured her the Atlanta Press Club’s National Reporter of the Year in 2007.